Transform the traditional wedding limo ride into something more! Ride with the passion you desire in our elegant and classy limousines. Our limousine service Pittsburgh has relied on for decades is still here, prepared to help make your wedding day even more sensational. Our reliable drivers can accommodate for special requests or even have a specific song playing as the newlyweds step into the limo. We realize that this is just not another day. Because we understand, we always go the extra mile. We are creating a whole new way of transportation, a limo service Pittsburgh can consistently rely on. Our flexible chauffeurs are there for you. Extra stops and last minute changes in plans have instantly became easier. We always aim to please! Spotless vehicles, cozy seating and a champagne caddy awaits you! Simplify your wedding limo ride. We specialize in pampering our newlyweds for a personalized experience. We give you your privacy so you can have a romantic ride and if plans run a little longer than expected—we can be there as long as you need us. You can expect our limos to be as pristine as the bride’s wedding dress. Choose from sleek black or pure white in color; set the air to your preferred temperature, dim the lights and set the mood. 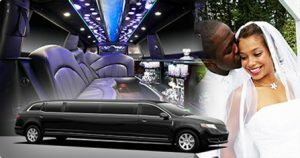 Be assured that when you ride with us, you are getting the best service Pittsburgh limo available in wedding transportation. You can depend on our friendly chauffeurs to always arrive on-time and provide you with a smooth ride. We are available 24 hours a day and it’s easy to make online reservations in advance! Say “I Do,” to prompt, courtly and reliable wedding limo service! For a limo service Pittsburgh PA has several options, but we guarantee you won’t be disappointed with us! We provide astounding service to popular wedding venues throughout Pittsburgh, PA. Choose us to be your go-to limousine service Pittsburgh needs! Creating fabulous rides to: Twelve Oaks Mansion, The Chadwick, or Lingrow Farm and more!